Please select options for MBRP 4 in. Installer Series Single Exhaust System - Side Exit (15-19 2.7L EcoBoost F-150) at the top of this page. Hey, what's up everybody! I'm Justin with AmericanMuscle.com and this is my detailed review in install of MBRP 4" Installer Series, Single-Side Exit, Cat-Back Exhaust System. 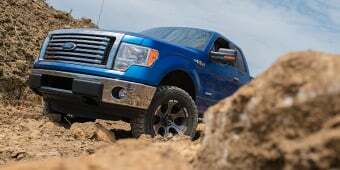 Available for your 2015 and up 2.7-liter, EcoBoost-powered F-150. I'm gonna cover a few basic topics here with the MBRP 4" System. 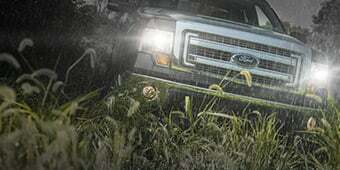 Basically what kind of sound you can expect when installing the system on your EcoBoost-powered F-150. What you're gonna be receiving as far as basic materials and build, and then finally a quick little walk-through on the install itself. One out of three wrenches here are on the install, really not that bad. We will have a little more detail coming up later on. This particular system that I have in this video, guys, is the Installer Series from MBRP. And it is gonna be one of your only options when it comes to a four-inch system here on this site. Now, because of the larger diameter piping, I would say this is a great choice for the EcoBoost truck owners out there looking to get a little bit more performance out of their truck. Maybe focused on performance with their EcoBoost and therefore, are doing more performance-related modifications, the down-pipes, the tunes, the intakes, things like that. 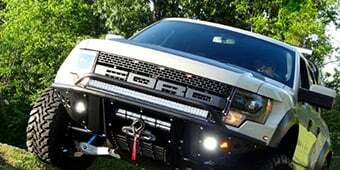 On the other hand, it might be a great choice for EcoBoost truck owners who are just looking for an affordable system and like the way the larger diameter system looks underneath the truck. The Installer Series is MBRP's entry-level or budget-friendly Cat-Back System here. Again, it is gonna be a great choice for those EcoBoost owners who just wanna make a little bit more noise but not spend a ton of dough in the process. A big portion of that is due to the aluminized steel which will help to keep the price tag down compared to the more premium materials such as your 304 or 409-grade stainless steel. And ultimately, it is going to be a Single-Side Exit Configuration much like your factory system dumping behind the passenger side rear tire. But let's dive head first into the sound with the MBRP 4" System. And as you guys heard with the sound clips at the top of this video, for a four-inch system, this thing really doesn't sound that bad. Right? I mean it's really deep. It's got a great tone overall. It's not the loudest or the craziest system by any means, but overall, good enough for a strong three out of five on my one-to-five, or one in the wake-the-neighbor scale. Definitely picked up a good amount of turbo noise with this thing as well which I always think is really cool. We did pick up a little bit of noise inside the cab while cruising on the highway with this system, but really nothing unbearable in my opinion. Transitioning away from the sound a little bit, let's talk about MBRP as a whole. And as a brand, they're gonna be one of your more value or entry-level options. Even their full stainless options come in on the lower side of the category. So how do they keep the down even further price here at the Installer Series? Well, like I mentioned at the top of this video, guys, a lot of it comes down to the materials used. You are getting aluminized steel with the Installer Series, which is the most budget-friendly system or material out there. A lot more affordable than your304, even your 409-grade stainless to a certain extent. Now from a performance standpoint, the aluminized steel is gonna perform just as good as the stainless systems. 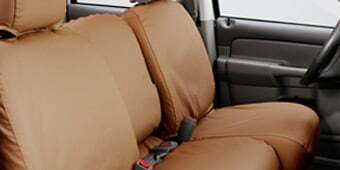 It's a durable material and it is very inexpensive. Those are the big pros for the aluminized steel. The big cons on the other hand are that it's not gonna be as good at reducing surface corrosion as the 304 or 409-grade stainless steel. As a result, you might see some surface corrosion on this system if you live in a snowy area and your truck sees a lot of road salt in the winter months. Now, it's not gonna happen overnight of course. But after a few years, you might start noticing this. Because of this, MBRP is only gonna throw a three-year warranty at the Installer Series here which is in contrast to their full stainless systems which do receive a lifetime warranty. If you do wanna go full four-inch here, but maybe you want to go with that stainless steel instead, MBRP does offer the Pro-Series System and Pypes also offers a full stainless system as well on the site. But as you might expect, those systems are gonna be a little bit more than the Installer Series. So what does this all mean for you when it comes to time to open up your wallet? Well, like I've been saying throughout the entire video, this thing is very affordable. That's the main draw of this system. And, as such, it's gonna be one of the most affordable single exit systems on the site at just south of 400 bucks, edging out the pipe system for the most affordable four-inch system currently here at AM. All right, guys, we've talked sound, we've talked price, let's talk materials briefly. Here at the Installer Series, we've talked about the aluminized steel ad nauseam, but what else can you expect with this system? Well, 4"-Mandrel Bent Tubing, again the main draw of this system, that large diameter piping. The single-bullet style muffler here with the MBRP Installer Series, and finally the massive five-inch tip with the slash-cut end, and the MBRP logo embossed on the side. Again, this thing is gonna exit right behind the passenger's side rear tire, much like the factory system on you F-150. 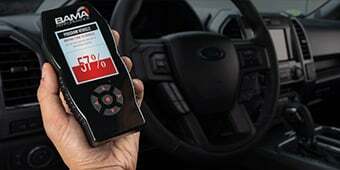 Getting the new system installed on to your F-150 is a very straightforward task, guys. One out of three wrenches on the difficulty meter. Maybe an hour or two in the garage or driveway before you're making some noise. Again, this is a single-exit system which does make the install that much easier. And MBRP does include an extension pipe to be used on the longer wheel-based trucks, but they do break that down pretty clearly in the directions for you. So again, even if you have the smallest mechanical expertise, you should be able to bang this one out without issue. 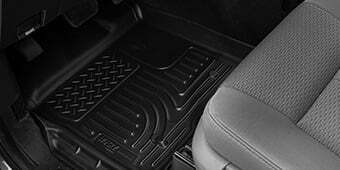 The single 4" Installer Series from MBRP is a great value for the newer EcoBoost truck owners out there and here's why. Sure, the materials might not be as nice as some of the other systems on this site. 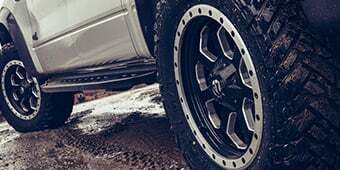 You're getting great fitment, great tone, all for a rock-bottom price, making it an easy choice for the truck owners who wanna add maybe a little bit more sound, a little bit more performance to their truck without going all out on a premium system. So that's my review of the 4" Installer Series, which you can grab right here at AmericanMuscle.com. Unlimited Performance. Define power with no limits with the MBRP Installer Series 4-inch Cat-Back Exhaust - Single Side Exit. It’s built to soar with free-flowing exhaust and a supply of power for when you need it. Your F-150 has never felt as turbo-charged as this, and you’ll be able to hear the difference with a cozier, more laid-back sound than usual. It purrs with power. USA Made. The MBRP Cat-Back boasts solid build and careful design with a 4-inch Mandrel-Bent Aluminized Steel Tubing and 5-inch 5 in. Polished Stainless-Steel Tip. High-quality stainless-steel means they are built to last and perform. No more worries about the harsh wear and tear, the Cat-Back Exhaust can thrive and survive. Installation Is A Snap. To install the MBRP's Single Side Exit Cat-Back Exhaust, use an OEM hanger. It’s easy to mount and replace your F-150’s stock exhaust. Some cab and bed sizes will require trimming of the piping. Application.This MBRP Installer Series 4 in. 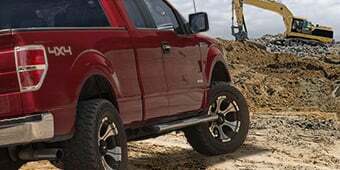 Single Side Exit Cat-Back Exhaust is specifically designed to fit all cab and bed sizes available for the 2015 to 2019 F-150s powered by the 2.7L EcoBoost engine. What is the difference from this one and the MBRP Pro series one? Materials? The difference between the Pro Series and the Installer Series from MBRP is that the Pro Series sound difference comes from the muffler that is used versus the muffler that is used on the Installer Series. The Installer Series muffler will give the exhaust a more mellow note whereas the Pro Series will be louder and more aggressive due to the difference in said muffler. Hi, This cat-back is legal in California because it gets bolted in after the catalytic converter. 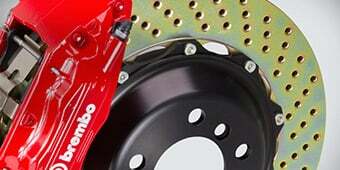 The MBRP Installer Series 4 in. Cat-Back Exhaust - Single Side Exit (15-16 2.7L EcoBoost) will bolt up directly to your truck without any extra modifications on the truck. 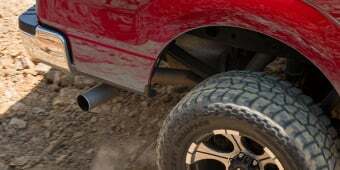 However, MBRP designed this exhaust to work for all different cab and bed sizes, and the idea of how that works is what you will receive in the box will be set up to fit the longest 2.7L Ecoboost out there. Depending on the length of your truck, you may need to trim down the piping before the muffler in order for it to properly bolt up. very droney system to the point where you have to yell to the person next to you. i have replaced the muffler with a flowmaster big block and it sounds much better. the original muffler was loud and choppy. had a mechanic put it in was done quick great kit. In love with this exhaust! I recommend to everyone! It sounded really good on video. But real world not so great. Long trips and no music can tend get a little loud in cab. Worth the money. I AM VERY HAPPY WITH THE MBRP EXHAUST. IT WAS AN EASY INSTALL. IT TOOK ME LESS THAN AN HOUR BECAUSE I WORK AT A SHOP SO IT WAS NO TIME AT ALL. AS FAR AS THE SOUND IT PRETTY MUCH SOUNDS AS IT DOES ON THE AMERICAN TRUCK SOUND CLIP. I WOULD PUT IT CLOSER TO 4 OUT OF 5 AS FAR AS LOUDNEST. IT SOUNDS REALLY GOOD FOR THE PRICE. I WOULD RECOMMEND IT TO OTHERS. I DID NOT NOTICE ANY INCREASE IN FUEL OR POWER. I ALSO HAVE THE SPECTRE INTAKE KIT AND IT THE MADE THE INTAKE SOUND SO CRISP WHEN IT PULLS IN AIR. We just installed this system on my buddies truck, it sounds great and installed easily. I am about to bite the bullet and order it for my truck too.